We love going to the zoo and we also love visiting the aquarium, but they’re not always in the same location. When you mix the two together in one spot — you have a serious winner in our book. That’s why Tove and I enjoy Point Defiance Zoo & Aquarium in Tacoma. 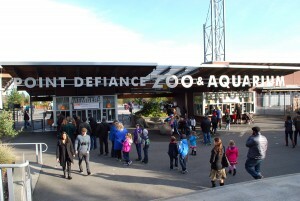 We’ll start with the zoo experience at Point Defiance Zoo & Aquarium (5400 N. Pearl St. in Tacoma). When you enter the zoo and follow the trail to your right, you’ll walk into the Asian Forest Sanctuary. 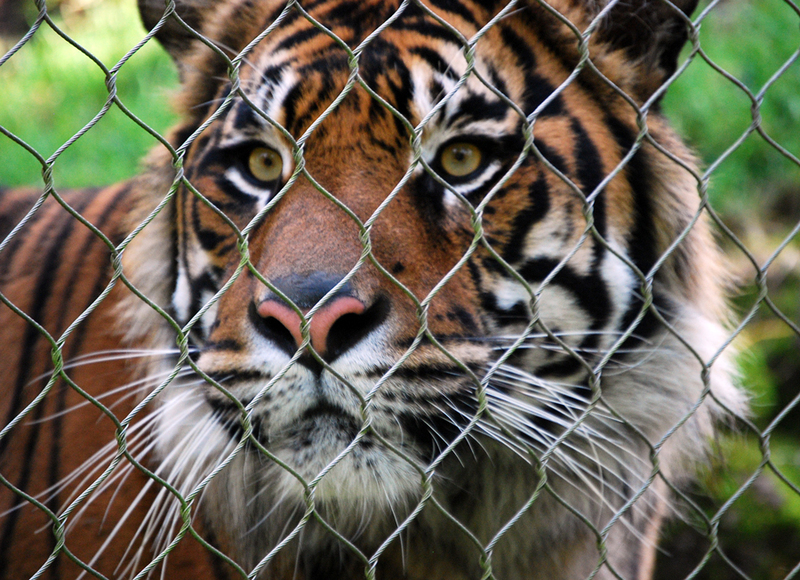 That’s where you’ll find elephants, tigers, clouded leopards, siamangs, Asian small-clawed otters, and more. You’ll be amazed at how close you can get to these amazing animals. As you continue around Point Defiance Zoo & Aquarium you’ll run into the fun-loving penguins and the Rocky Shores exhibit. 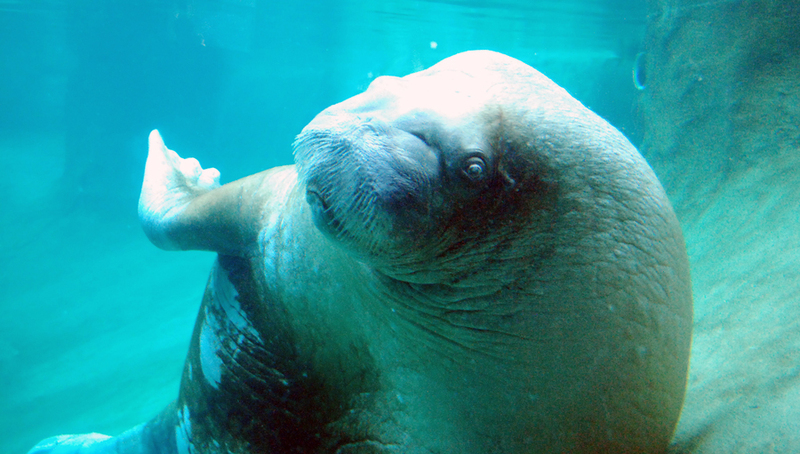 This is where you get an up-close look at seals, sea otters, puffins and even walruses. This is the only zoo I’ve ever visited that had walruses. You can view them above ground or in an underwater area. Either way you observe them, they’re awesome creatures. We think they’re easily the coolest creatures at Point Defiance Zoo & Aquarium. 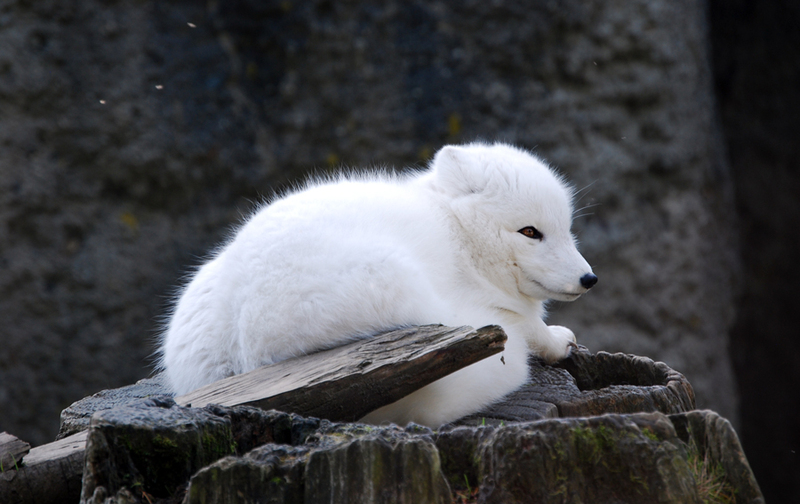 You’re adventure around Point Defiance Zoo & Aquarium then brings you to the Arctic Tundra exhibit. This is where you get to see polar bears, arctic foxes, reindeer and muskoxen. The polar bears are definitely one of favorite animals at the zoo, too. They’re truly amazing to see in person. From the Arctic Tundra, you then continue to the Red Wolf Woods and the Red Wolf Conservation Center. The red wolves can be a little hard to spot at times, but they’re cool when they’re active. Plus, their story of survival is pretty amazing. In the 1980s, the red wolf population was down to just 14 wolves. Now, thanks to the help of Point Defiance Zoo & Aquarium, there are more than 250 red wolves in existence. The next stop at Point Defiance Zoo & Aquarium is the Kids’ Zone. Even if you don’t have children, there are animals to see in this area. There are lemurs, wallabies, meerkats and goats. If you do have kids, this place is a haven. There are several playgrounds for them to romp around and exert some energy. 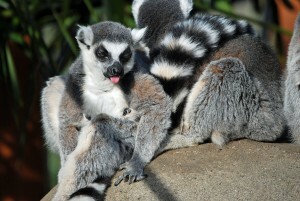 There are plenty of other events for kids at Point Defiance Zoo & Aquarium, including camel rides, a Budgie Buddies area where they can feed birds, and the Wild Wonders Outdoor Theater, which provides free (with zoo admission) daily shows (click here for more information) for your family. On top of all that, there are also many educational opportunities for children at Point Defiance Zoo & Aquarium. Like I mentioned earlier, and as the name implies, there is also an aquarium at Point Defiance Zoo & Aquarium. 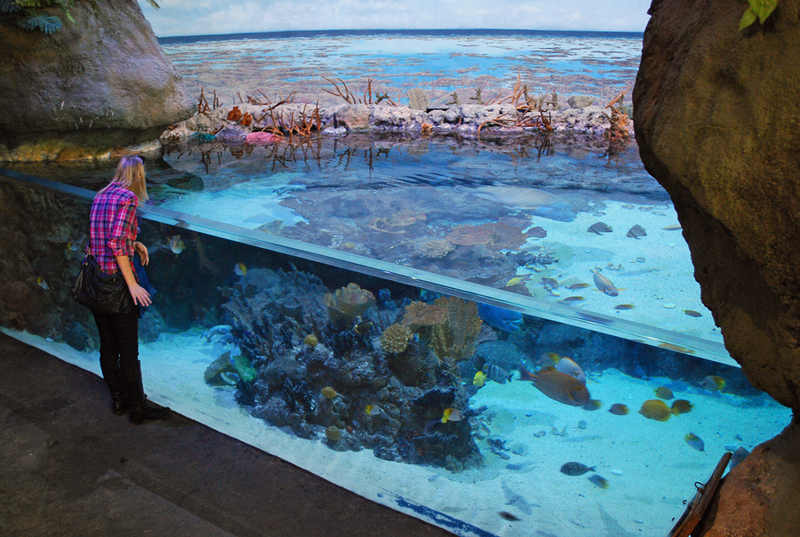 There are actually two different areas to the aquarium — one is dedicated to the North Pacific (sea life that you’d find in our area) and the other features the South Pacific. Both exhibits are really cool, but you don’t want to miss the sharks in the South Pacific. 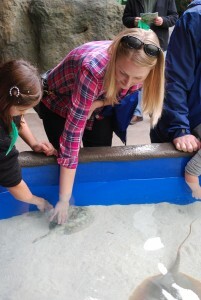 You should also really check out Stingray Cove where you can actually touch stingrays as they swim around their tank. NOTE: For an extra cost, Point Defiance Zoo & Aquarium offers eye-to-eye shark dives. If you’re an expired scuba diver, you can hop in the tank with the sharks. If you’re not an experienced diver, you can still go cage diving with the sharks. It’s easily one of the coolest things Tove and I have experienced together. Click here for more information! 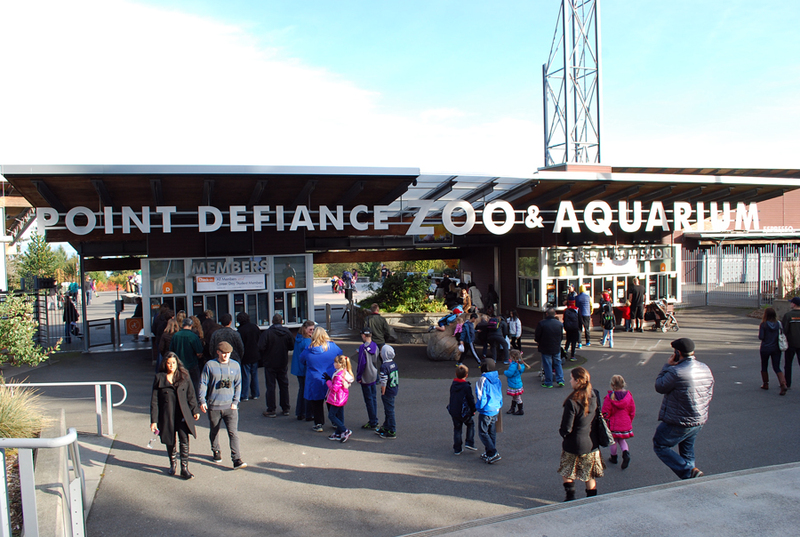 Admission for non-Pierce County residents at Point Defiance Zoo & Aquarium is $15 for adults (13-64), $14 for seniors (65+), $13 for youths (5-12), $8.75 for tots (3 &4), while children 2-and-under are free. Pierce County residents save $2 off all ticket prices, but you can also save $2.50 per ticket if you buy your tickets online. Admission prices vary depending on the time of year, so be sure to check here before you visit (if you’re on a budget). Point Defiance Zoo & Aquarium is one of several awesome features at Point Defiance Park in Tacoma. There are also go-karts, beaches, Five Mile Drive, Fort Nisqually, hiking trails and much more. We think Point Defiance Zoo & Aquarium are worth a trip to Tacoma alone, but when you throw other Point Defiance Park adventures in the mix — it’s an amazing experience that you’ll never forget. Have you ever visited Point Defiance Zoo & Aquarium? How was your experience? What other adventures did you experience at Point Defiance Park? We’d love to hear all about it! Please leave a comment below or connect with us on Twitter, Facebook, and Google+. 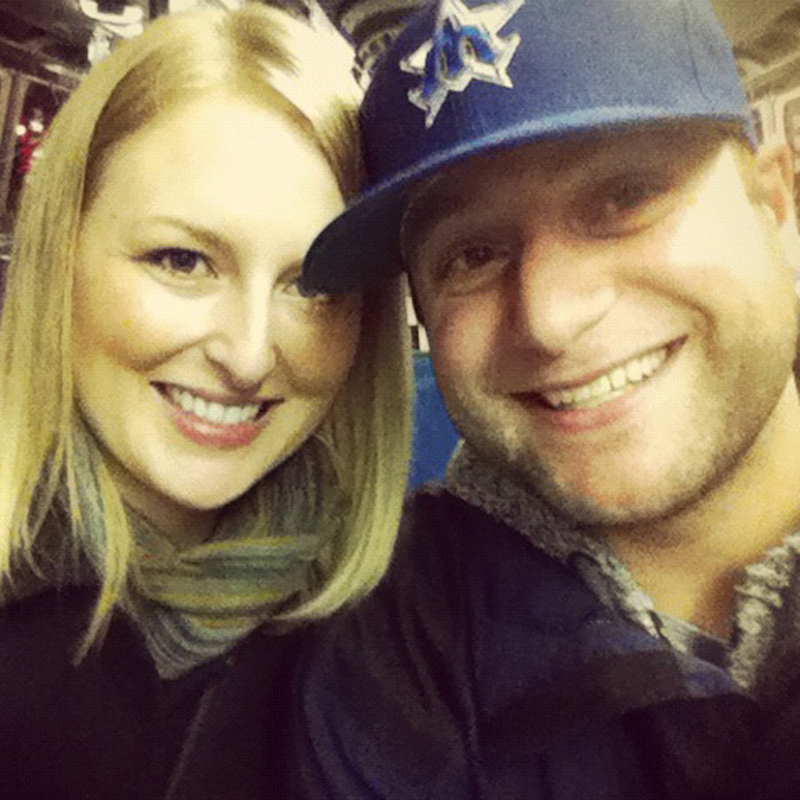 Don’t forget to also check out Seattle Bloggers for more great adventures around the Puget Sound.